North East traffic and travel live. 'The A19. Good morning. We are bringing you the latest traffic and travel news from across the region. Today looks set to be milder than the cold snap of recent days, with the Met Office reporting that there will be sunny spells after a breezy start. * North East Live Traffic has reported that a pedestrian is on the southbound carriageway of the A1(M) approaching the Washington Services. Tyne and Wear Metro has reported that trains are running to all destinations this afternoon however due to the earlier train failure at Brockley Whins there are delays of up to 20 mins to trains running between South Hylton and Regent Centre. Passengers are urged to leave extra time for their journey. *Due to a technical fault the main lift at Monument is out of service. Passengers requiring step free access are advised to use Central, Haymarket or St James. *Stagecoach North East has said that there will be an overnight closure of Crossgate in South Shields from 8pm tonight, Monday, February 4, for five nights. 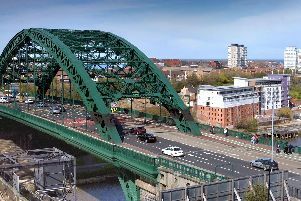 *Go North East has said some services are delayed due to a lane closure on the Wearmouth Bridge. Passengers on the 20, 20A, 35, 36, 56 & 700 are asked to allow for extra travel time. There are no reported problems on the train services in the region. There are no reported problems on the ferry.